These are the closest planets yet discovered by the Kepler K2 mission. A Key to the Galaxy? NASA’s Kepler space telescope — presently on its K2 mission — just made another major discovery, confirming the existence of three additional exoplanets. These new alien worlds orbit a star not so far away called GJ 9827, and all fall into the “super-Earth” category. The discovery was first published on the ArXiv preprint server on September 5. 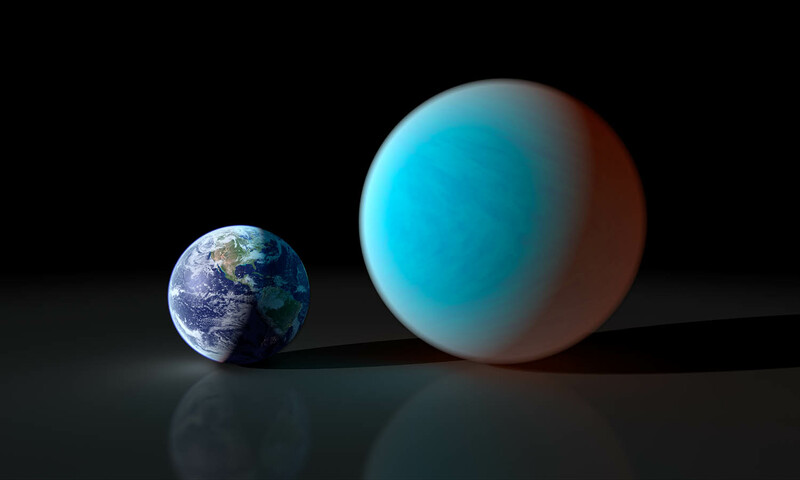 As we learned in the case of 55 Cancri e, super-Earth doesn’t mean “like Earth, only better.” They’re extrasolar planets whose mass is greater than Earth’s, yet significantly less than our system’s ice giants Neptune and Uranus, which have the masses of 17 and 15 Earths, respectively (note that while Uranus is bigger than Neptune, it is less massive). Since the category only speaks to an exoplanet’s mass, we can’t say anything about these exoplanets’ surface conditions. They’re big, but may or may not be suitable to life. The three exoplanets’ host star, GJ 9827, is 30.3 parsecs (nearly 100 light-years) away, which makes them the closest planets yet discovered by K2. Their radii, or distances from their sun, at 1.75, 1.36, and 2.1 times that of Earth, puts them on the interior and exterior limits of the distance that can sustain rocky planets. This makes them excellent candidates for atmospheric observation once space telescopes like the James Webb Space Telescope are up and running. There’s still much to be learned about how rocky, Earth-like exoplanets evolve at different distances from their host star. These planets’ orbits span the internal and external limits of the region around a star where rocky planets form; beyond that span (roughly 1.5-times the distance between the Earth and the Sun), planets become giants. As such, these super-Earths present an excellent opportunity for us to learn the factors which cause a formerly rocky planet to grow into a gas giant, denying its future as a potentially-hospitable exoplanet. It’s important to remember that more well-known planets, like those in the TRAPPIST-1 system, and Proxima b, are only the most popular exoplanets because of their proximity to Earth, or most Earth-like orbits and mass(es), as far as we can tell. But in order to advance our search for life beyond the solar system, we can’t count a single new exoplanet out.